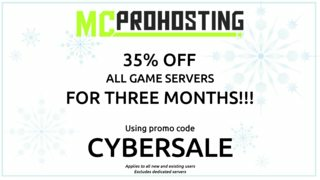 35% off ALL Games for 3 MONTHS at MCProHosting! Enjoy Cyber Monday savings early this year at MCProHosting! Using the promo code CYBERSALE at checkout, save 35% off ANY game server for your first 3 MONTHS! This deal will be valid from November 24th through December 1st. Be sure to take advantage of the savings! We have some sweet treats that we would like to share with you this Halloween! Starting today, we are offering not one, not two, but three special deals for both new and existing users, including 20% off ALL game servers. Use the promo code “ServerTreat” to take advantage of our 20% off your order of ANY game server of your choice! 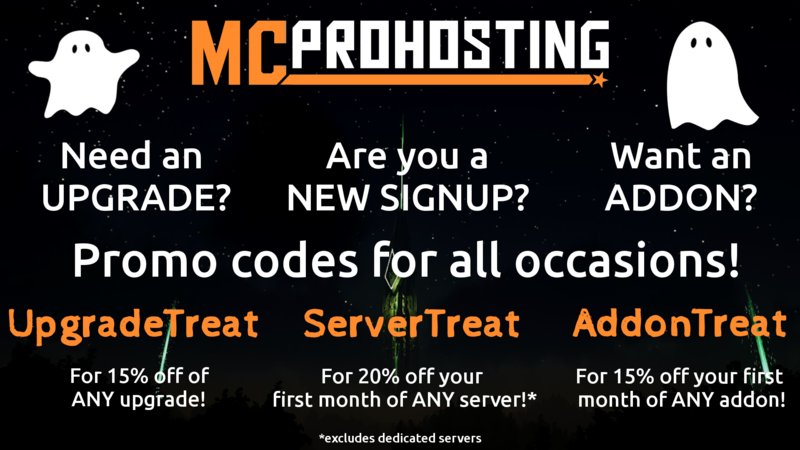 ANNOUCEMENT Ghost Hunt at MCProHosting! 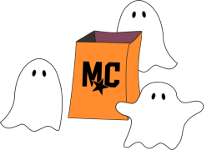 In preparation for Halloween, we have a special treat for you all, but some ghosts snatched the treats straight from our goodie bag!